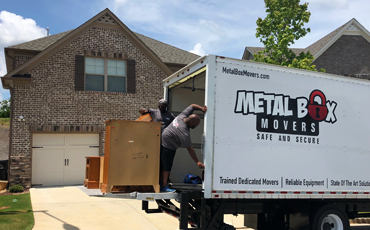 Metal Box Movers (MBM) offers many special programs designed for our customers, including our Hybrid Moving Program that caters to seniors, college students, or customers who might be seeking a low cost alternative. 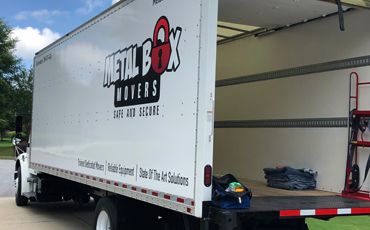 This program allows you to provide your own equipment, including rented trucks, trailers, furniture pads (if one way), and all the necessary tools and products for a safe and incident-free move. We provide labor only (a two- to five-man crew) along with great customer service to ensure a smooth transition. Call or email MBM and a specialist will be available 8am – 10pm Monday to Saturday to get the details of your move. With the answers to these questions, we’ll be able to estimate the amount of hours your move would require. Customers pay an hourly rate plus mileage for the crew size with a two-hour minimum. 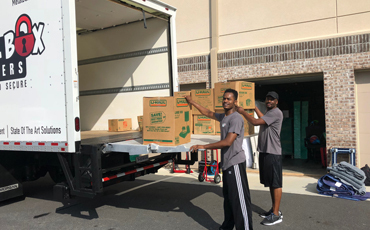 Our team will arrive at your house, apartment, or office with a hand-truck and carefully load your moving truck. If you are moving to another house, apartment, or office, they will follow you and unload your rented truck per your instructions. For local moves, a driver can be included according to your crew size. The crew would arrive at truck pick up location, drive the truck to the load location, load your belongings, then drive to the unload destination. Once everything is unloaded, they will take the truck back to the pick-up location. Customers pay per mile for driving services. For long distances, including across state lines, your rates are calculated according to distances at different rates – a crew including a driver would drive the truck to loading location, load everything, drive to your destination and unload, and then return the truck to a drop-off location. Crew would be responsible for any overnight stays, and they would find their way back to the origin point. We can provide helpers to professionally pack and/or unpack your valuables into or from your boxes and storage bins. The customer is responsible for all supplies, unless a request is made for us to supply materials. All rates are based on an hourly rate for the crew size. Ask us about boxes we have in stock for every application. Please call or email Metal Box Movers for further information on our Moving Services.